Automotive employee and affinity benefits schemes whether it's company vehicle, car allowance, salary sacrifice or voluntary let us advise and guide you. Our automotive employee and affinity benefits team are experts in benefits strategy and implementation through the provision of innovative corporate and flexible benefits solutions as well as affordable voluntary benefits schemes. They will assist you to offer an innovative and unique total benefits package based on a comprehensive range of products and services, not just cars, whether it's a voluntary or employer funded scheme. With an automotive employee or affinity benefits scheme you will encourage better uptake from your recruitment campaigns, in addition to motivating your team and retaining your existing staff. Any company or organisation size can qualify for an automotive employee or affinity benefits scheme, best of all it costs nothing to allow your staff or members to receive great automotive savings. We assist you with all the scheme promotion and marketing to ensure your staff or members have access to some fantastic automotive deals as a direct benefit of either working for or being a member of your organisation. Even if you do not run an employee or affinity benefits scheme at present, let us start your commitment to offering your employees or members one of the most motivational benefits of all, a discounted car purchase and leasing scheme. In addition to offering vehicle purchasing, car leasing and automotive finance we can also offer service, maintenance and repair solutions, either fixed price or pay as you go, at discounts of up to 60%. 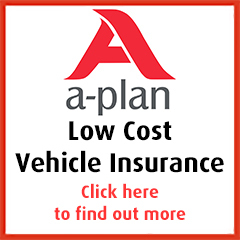 Discounted after fit options such as tow bars and reversing sensors, breakdown cover, insurance and mileage capture solutions that save time when completing fuel mileage claims are all cost savings that are available for your staff or members and offers them a direct benefit of working for or being part of your organisation. Move Vehicle Leasing are one of the market leaders in providing discounted car leasing to millions of employees as well as to members of unions and associations. We work with most of the leading voluntary benefits companies such as Asperity, Edenred, NHS Deals, P&MM and Streetwise as well as affinity benefits providers including The Charities Buying Group and Time4Leasing to provide discounted car leasing to their clients as part of corporate and flexible benefits provision. We also provide discounts, preferential terms and staff car leasing schemes either directly or indirectly to various employee sectors such as Public Sector employees including but not limited to staff working for the NHS, Emergency Services, Armed Forces, Civil Service, MP's and Teachers. Please ensure that you quote the correct discount code when requesting your car leasing quotes from us.